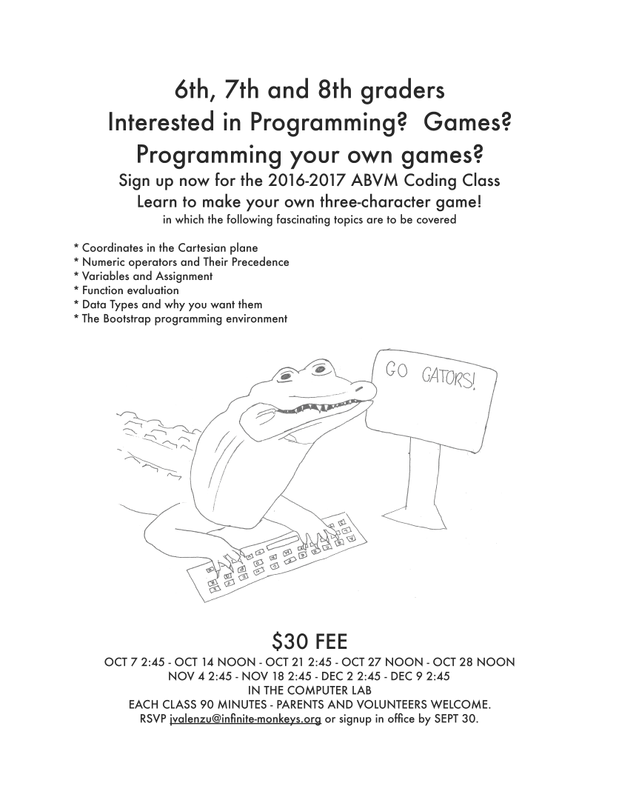 Interested in Programming? Games? 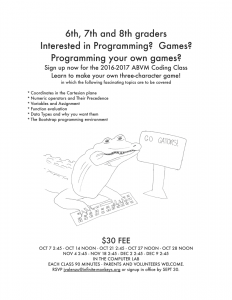 Programming your own games? Learn to make your own three-character game! EACH CLASS 90 MINUTES – PARENTS AND VOLUNTEERS WELCOME.